Young Hollywood catches up with our favorite ladies from one of our favorite shows, "The Bold Type", aboard our own YH Tour Bus! 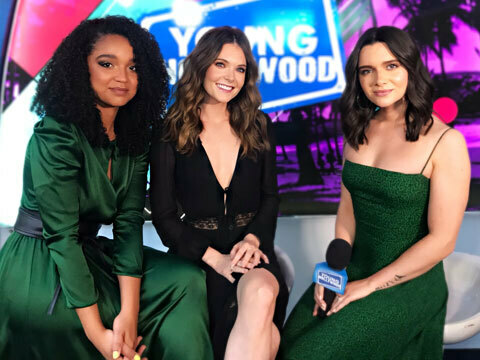 Katie Stevens, Aisha Dee, Meghann Fahy, and Melora Hardin join us for a chat about Season 3 of the hit show and the various emotional topics that the series covers. They discuss the fan reaction to these storylines and how they have touched viewers to feel seen and empowered, plus they talk about what they have learned from the show themselves! We also play a little game with them to find out the last time they did a certain thing, from getting social media burnout to giving dating advice!